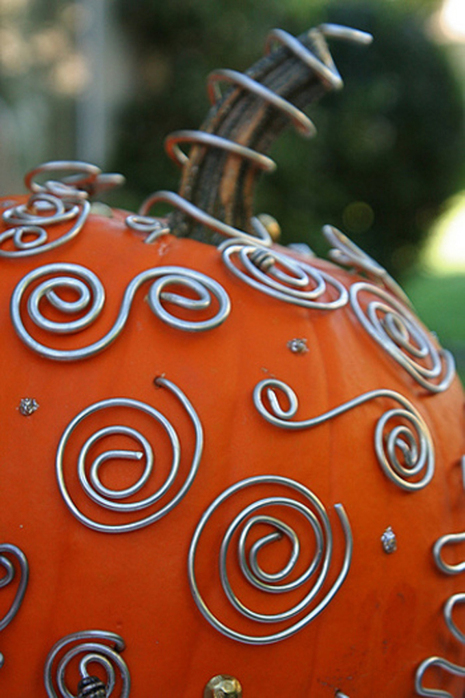 What could be better than decorating with pumpkins?! 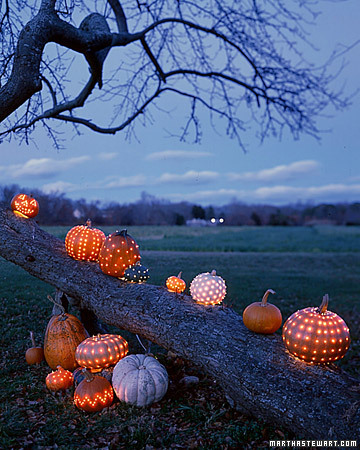 Personally, we just love stacks of unadulterated pumpkins or classic jack-o-lanterns, but here are some really fun ideas to add some variety to your fall-decorating. Love this "hardware store" pumpkin from Fresh Home. 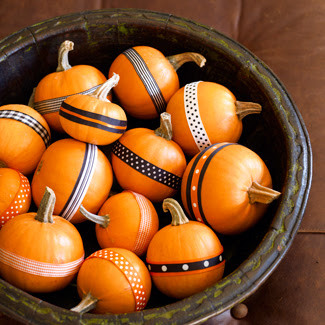 These ribbon pumpkins from Good Housekeeping are festive and cheerful. 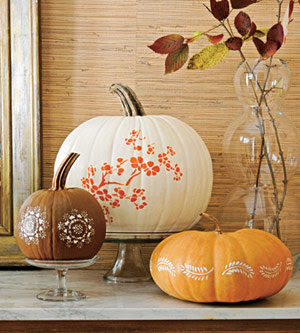 If you want to go with a pretty look, the Ladies Home Journal has some beautiful stenciled pumpkins. 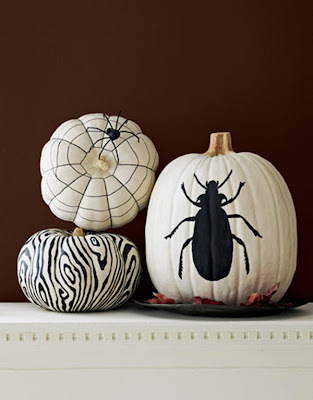 How about some creepy black and white insect pumpkins from Fresh Home? If you like the warm glow of a carved pumpkin but are looking for something different than a regular-old jack-o-lantern, perhaps these dots from Martha are the ticket for you. What are you planning on doing with your pumpkins this year?